Don’t think she ever saw any sea time… she is for decoration only. 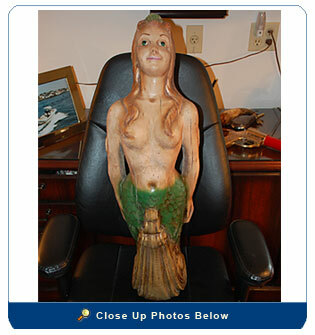 She is made of some kind of composite material (is quite substantial) and wood base. 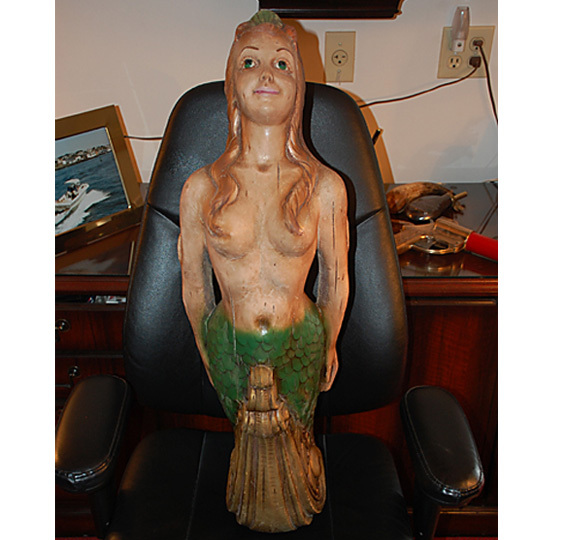 This is an older piece… we have no history on her background… but is still in good shape (no pun intended)… made to look “distressed or older”. Has a wooden bracket for mounting. A great piece would be the focal point of any nautically oriented room. Size: 34" high with 10" hips.